A 64 year old man died of scorching weather in the northern central province of Quang Tri’s Tuyen Hoa District. Tien Hoa Commune People’s Committee May 5 said that the victim named Le Van Binh, a retired military doctor, died of coronary thrombosis when he was harvesting rice during a parching mid-noon. The commune People’s Committee chairman Tran Xuan Son said that during the same time there were two other people died of coronary in the area. 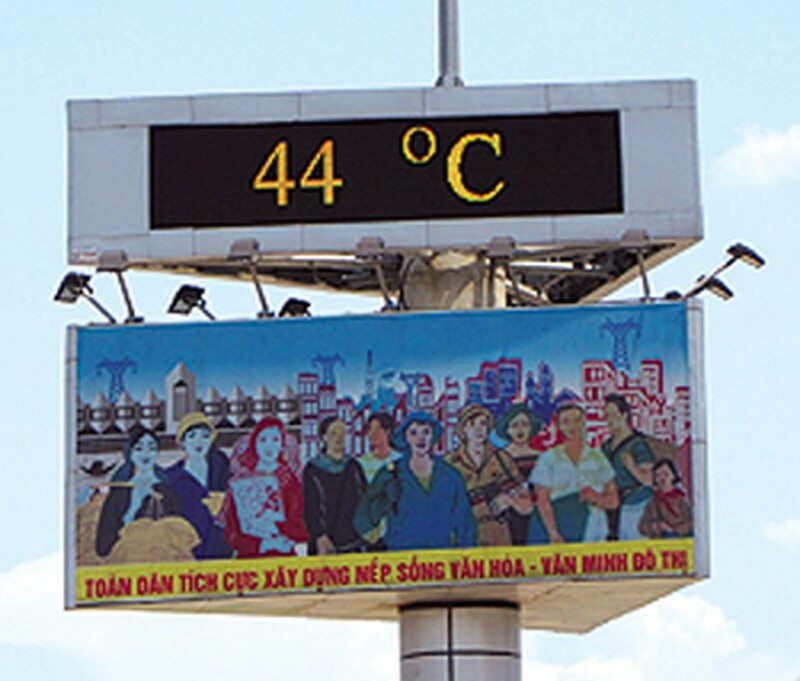 Over the last few days, temperatures in Tien Hoa raised up to 41 Celsius degrees. 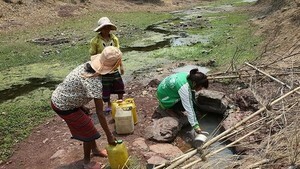 In the neighboring province of Quang Tri, the condition was worse with temperatures peaking 47 degrees. Meanwhile, the electricity was regularly cut off at residential areas from 1pm to 9pm daily, sending residents rush to buy power generators. Quang Ngai Province General Hospital reported that the number of children hospitalized due to heat-related diseases has skyrocketed by 2-3 times over normal days. The number of elderly hospitalized was also found doubled. Le Van Cuong, deputy chairman of Pho Quang Commune People’s Committee in Duc Pho District said that over 50 percent of white leg shrimps bred in the commune’s 60 ponds have been ill due to hot and dry weather. A commune resident named Huynh Minh Hung said that almost total 500,000 shrimps he bred in two ponds, 2,800 square meters, has died of scorching weather.